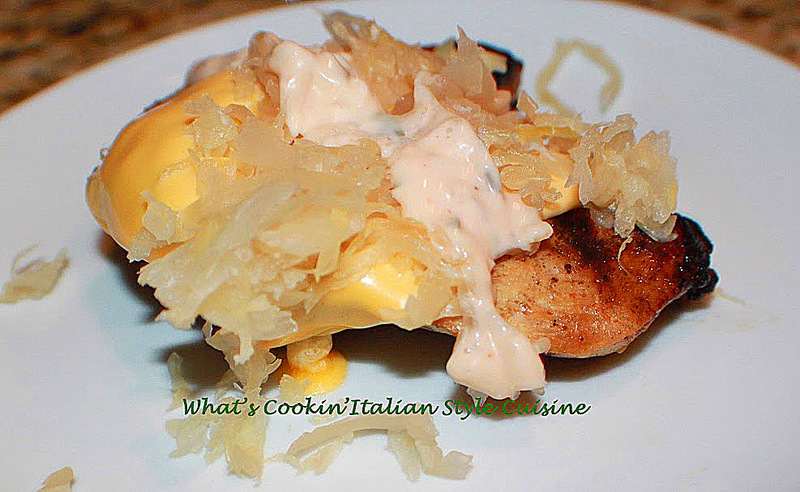 Chicken marinated in Guinness Beer, grilled to perfection the topped with the Reuben style famous sandwich with Dubliner Cheese melted on top. Mix the beer, olive oil and spices together add to a zip lock freezer bag and marinate the chicken overnight. Heat the grill on medium. Grill chicken until marking are deep and juices run clear. Place on a plate. Top with a piece of Dubliner cheese or swiss, Sauerkraut and drizzle thousand island dressing over the top, great with rye bread in a sandwich too!